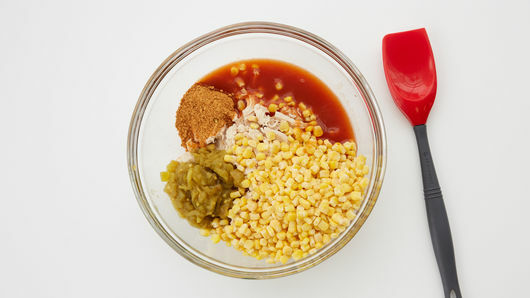 In large bowl, mix chicken, taco seasoning mix, green chiles, frozen corn and enchilada sauce. Place 8 tortilla halves in bottom of baking dish. 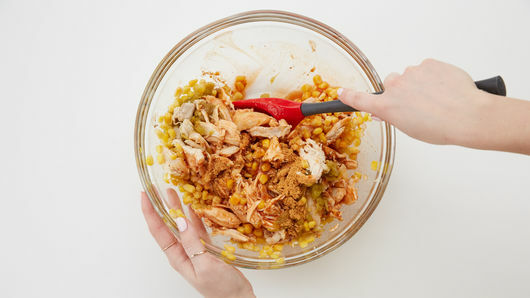 Top with half of the chicken mixture (about 2 1/4 cups). Sprinkle with 1 cup of the cheese. Top with remaining tortilla halves. 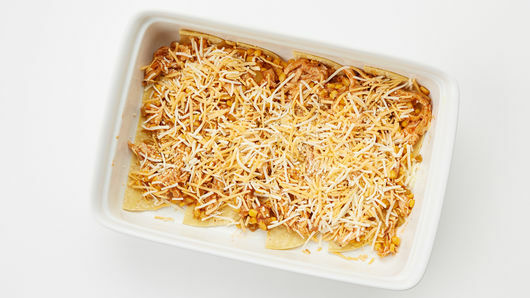 Spoon remaining chicken mixture and remaining 1 cup cheese onto tortillas. 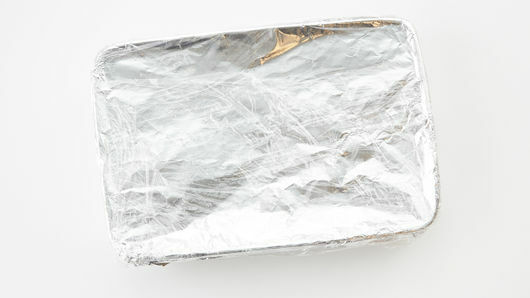 To make ahead and freeze: Wrap foil-covered casserole in double layer of plastic wrap; label and freeze up to 3 months. To thaw and bake: Thaw overnight or until completely thawed in refrigerator. Remove plastic wrap. Bake 1 hour to 1 hour 10 minutes or until center is hot (165°F) and cheese is melted. 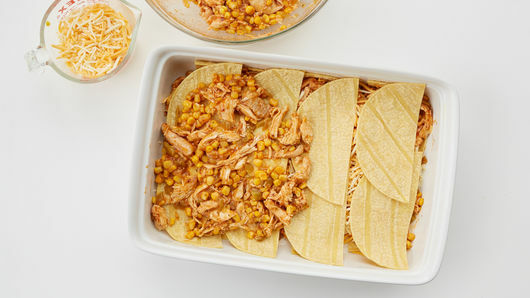 Add these toppings for even more flavor: sour cream, chopped fresh cilantro, diced tomato or chopped avocado. 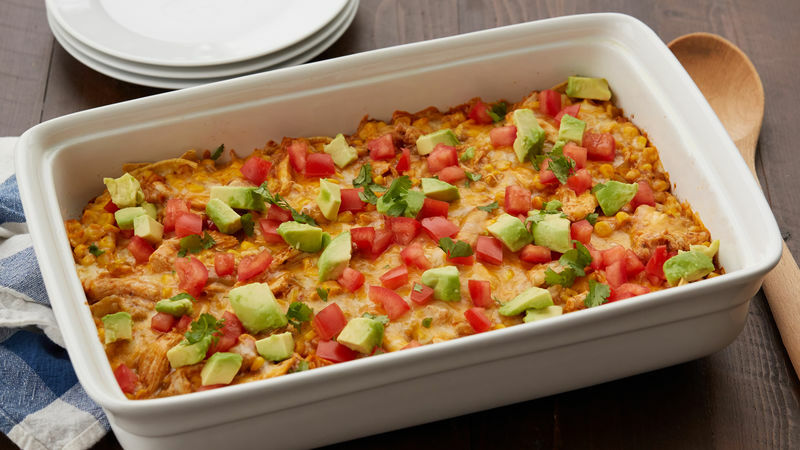 To add more spice, use Old El Paso™ hot red enchilada sauce in place of the red enchilada sauce.